Baripada(PTI): The forest department officials today found an elephant carcass inside Similipal National Park in Odisha’s Mayurbhanj district. The dead elephant was a 40-year-old male, forest officials said. The carcass was found at Badakhamana forest within the Kaptipada forest range, Assistant Conservator of Forest (ACF) Arun Kumar Patra said. Though the dead jumbo was a male, it did not have long tusks like matured elephants, he said. 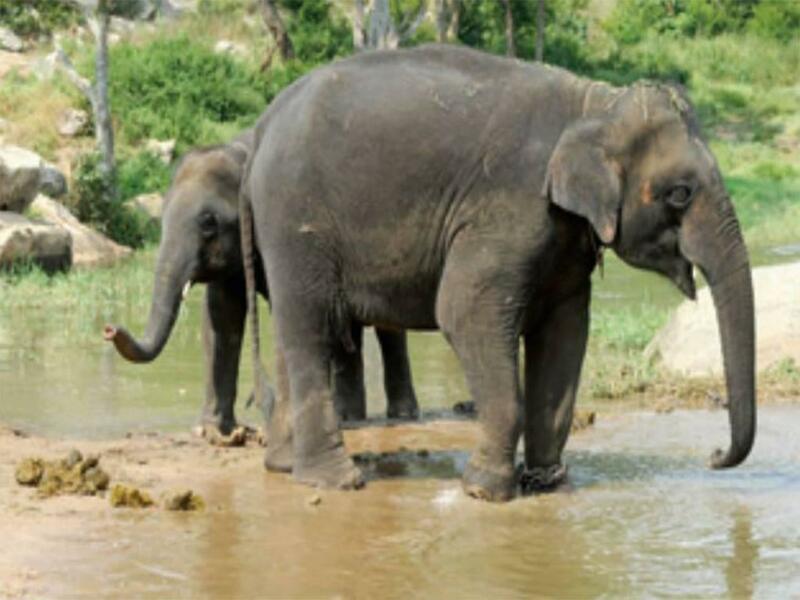 “Such male elephants are called ‘Makhna’. They do not have long tusks,” Patra said. No injury mark was found on the carcass during preliminary examination, he said. An autopsy of the dead animal would be carried out at Odisha University of Agriculture and Technology (OUAT) in Bhubaneswar to ascertain the cause of its death, he added.